Donald Trump is notorious for calling people low energy. When you consider how high-energy he is, you can see why he sees people with low energy as losers. 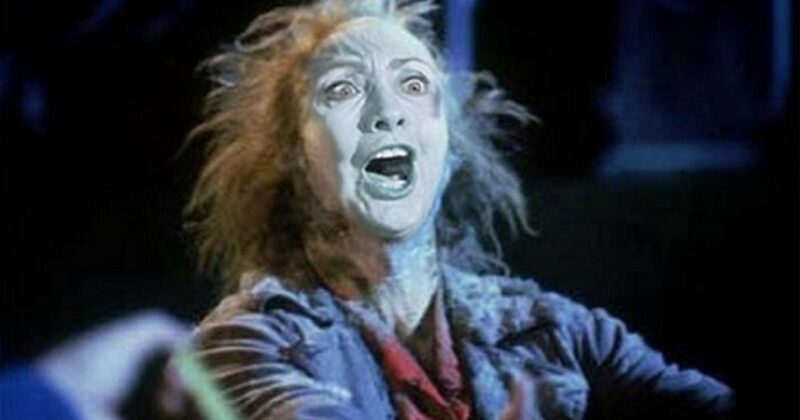 Trump ousted Jeb Bush and Dr. Ben Carson with the “low energy” attack, and he’s about to do the same with sickly Hillary Clinton, zombie candidate. At the end of June, Hillary Clinton had 680+ paid staffers. Trump had less than 70. Clinton’s staffing suggests it takes a lot to keep the genie in bottle. Aside from the corruption, Clinton needs a team of babysitters. utside of Secret Service, far too many people have to tend to the day to day dealings of Hillary Clinton. The leaked emails hinted that Huma Abedin had to remind Hillary Clinton when to sleep, take her meds, heck use the bathroom. Clinton was a slave to her schedule. I’ve seen pictures where the catheter can be easily seen under Clinton’s pants. Yet, the campaign claims she is in great health. Clinton won’t have a press conference, and is rarely seen not holding onto something, e.g. a podium, a handrail, or whatever. I read now the Clinton machine has grown to 1,000 people. In other words, the Clinton machine and campaign have become more complicated. Campaigns are grueling, particularly when you’re the head of an extortion ring. Clinton’s own antics only add to the frantic pace of her campaign. Email scandals and cover-ups. Clinton know that just one forgetful moment, and the veil gets lifted. The potential for catastrophe looms continually over her. The campaign will never release her medical files to the public. In contrast, they feel if the opposition continues to hammer the issue, it will create a backlash of sympathy. That press conference everyone is waiting for? It’s been 270 days since she gave a press conference or 280 days. Whatever it is. Hillary will not be giving any press conferences before the election. Why? She doesn’t have to, according to campaign handlers. Hillary Clinton’s days of sleeping through the election have come to an end. The small bit I know about the Trump campaign is they know when to apply pressure. And as the saying goes, pressure will burst the pipe. The poll numbers have begun to betray her, and it won’t get any better. Soon the cover-up over, and zombie candidate will be exposed.